Visit Borsong umbrella making center in Sankampaeng, Silverware and Thai silk. You can do tattoo painting or buy unique T-shirt or mobile phone case for artists to paint or create in 10 minutes. Wood carving at Baan Tawai. And visit stunning Silver Temple. Visit Silver Temple, is a temple made of silver by Villager in Chiangmai. Go to Baan Tawai wood carving Village for shopping furniture & souvenir. Visit Borsang, Sankampaeng Umbrella making center. Let's see how to make and paint the umbrella, Thai silks and silverware. Visit only one silver temple in Thailand. 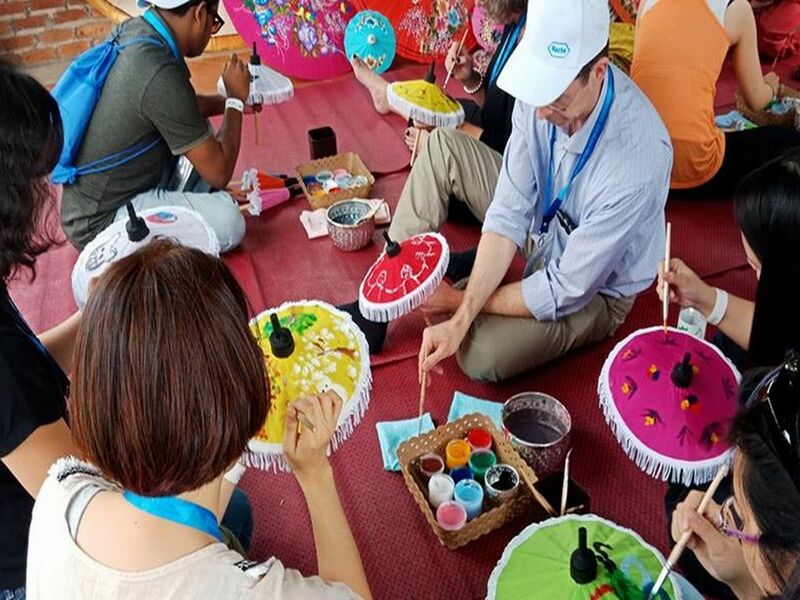 Sankampaeng and Bann Tawai are the most popular destinations for tourists to discover how to make Thai handicrafts such as umbrella painting silverware, Thai silk and wood carving. Chiang Mai Countryside Flea Market Tour!